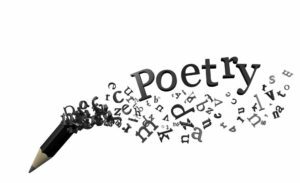 Reserve your place for the Poetry Workshop…space is limited! kids 4-12, youth, and adults Bring out your creative side! Learn some simple poetry writing basics and then with writing and drawing express yourself in your unique style! This workshop will be led by featured poets Jim Teeters and Katheryn Van Eddy. Bring your own poems (1 or 2), sign-up, and offer your work in the open mic setting. For younger kids we encourage a parent or facilitator who can read or assist them.